Woo another month of PLAY-ing, and i was a little happier with this month's box than last! 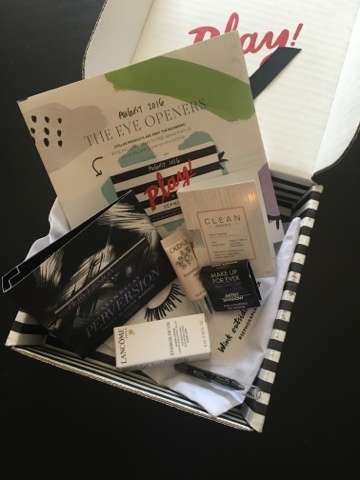 So that's definitely cool, the theme was 'The Eye Openers' and the bag is adorable (just like last month) with this 'Wink Outside the Box' catchphrase. 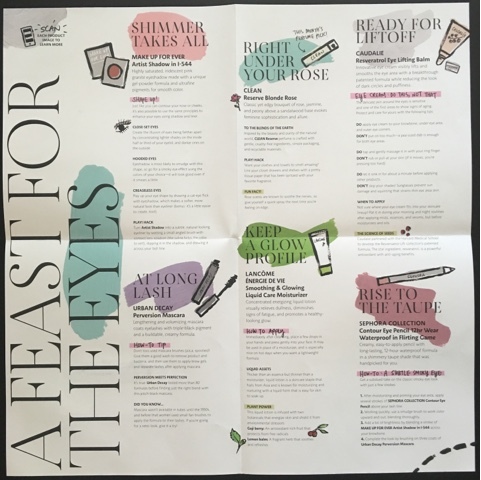 I'm still in love with these little posters that come with it highlighting all the products–they're just too damn cute. And I also appreciate the way they do explain a little more about the product if you don't already know what it is. Perversion is seriously the BEST mascara. 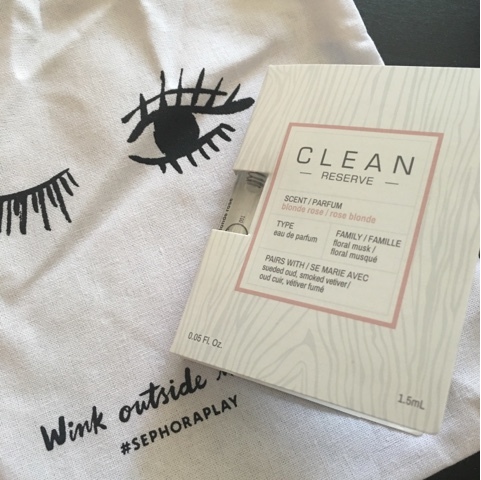 I talked about it more on my mascara blog HERE, but ultimately it's my go-to even though it's not waterproof for several reasons. My eyes are ridiculously sensitive and putting mascara on always makes my lashes fall out, but not this one. My eyes also usually feel irritated with mascara, BUT NOT THIS ONE. And finally, they just look so good. 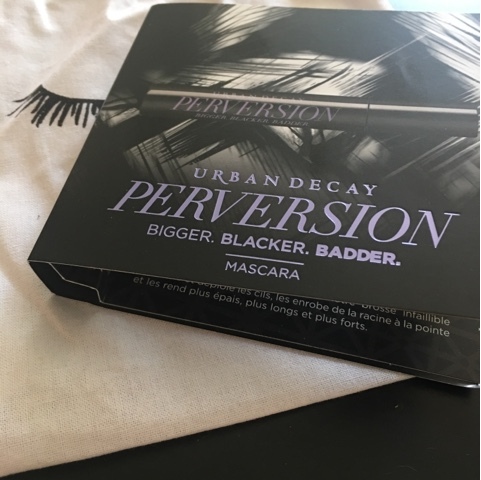 Perversion is super black, goes on so easily and smooth, doesn't get all spidery, and lasts all day without smudging under the eyes. it's truly the best of the best. UD nailed it with this one. If they could just make a waterproof version that's just as perfect, that would be swell. I'd never used a liquid gel moisturizer before, so this was an interesting experience. It's supposed give a 'dewy glow' as it 'energizes, refreshes, protects, and hydrates' and be good for all skin types. I'm normal (according to the Kiehl's skin test), and not really knowing how to use this I watched the video on sephora and it gave me some cool tips- like putting a couple drops on a Beauty Blender to blend out foundation. it actually was pretty awesome, and helped my makeup blend in much smoother and quickly, and i felt that less was absorbed into the blender as well. I'm still on the fence about that whole 'dewy' complexion thing, but i really enjoyed how light this moisturizer was and how nicely it helped my foundation. It also says to pat it on after washing your face, but i only do that at night and have a swell nightly moisturizer, so i think this will be awesome to keep using with makeup. I might try it lieu of primer though and see how other foundation with other applications work. but overall this is a win. 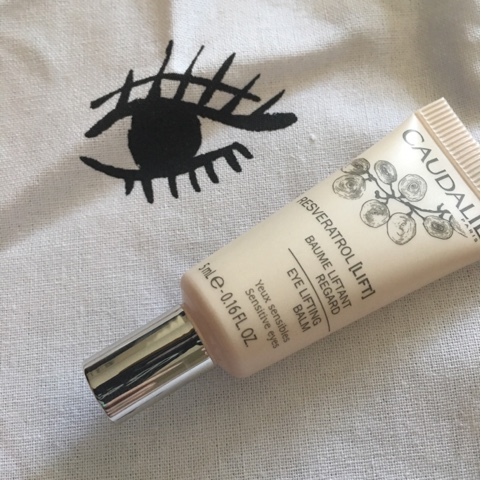 I'm all about preventative skin care, so I'm always a big fan of eye creams, and have been hearing a lot about how Resveratrol is the new 'it' anti-aging ingredient, so it's nice to finally try something with it. 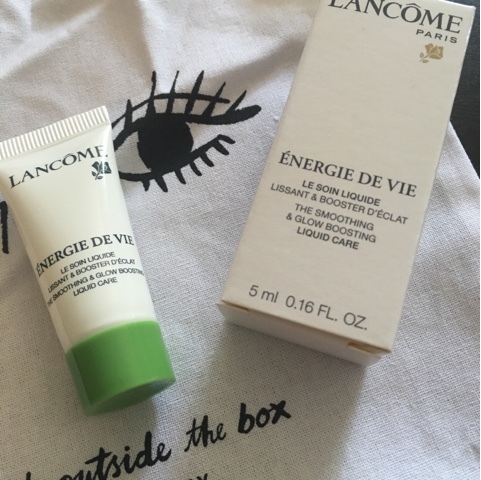 This balm is a little different, in that the texture is more of a gel than a cream, definitely 'balm' like, and didn't burn my eyes in the SLIGHTEST which is major cuz even my nice Lancome creams burn to a certain extent. This is also unique in that it can be used around the mouth, and it differs from the night version of the cream in that that one is for the 'contours' of the face, like jawline and cheekbones. And also this eye balm can be used morning and night, instead of being specifically for evening time. I'm down for it though, i haven't noticed a visible difference yet, but my eyes were nice as soft the morning after using, no dryness by crows feet, and less noticeable dark circles than usual, so again, i consider this a win. 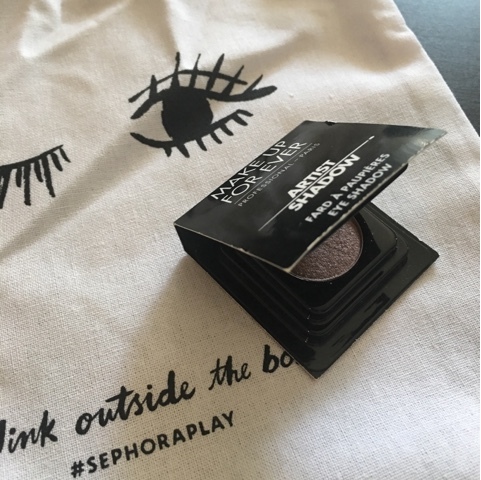 So after loving those new MUFE lipsticks so hard, it's exciting to get another tester from the brand, but i have to admit i'm not a big fan of single eyeshadows. it really has nothingto do with quality and everything to do with i hate using singles! I just like to use a palette and use all the nie coordinating colors together, and having to reach for a whole bunch of different singles is just too much work for me. But this color was nice, it worked fine, and blended with the Sephora brand pencil really well so it was a really easy kind of pinky smoky look. The formula was nice, so I'd definitely be down to try their palettes, but just a single isn't for me. 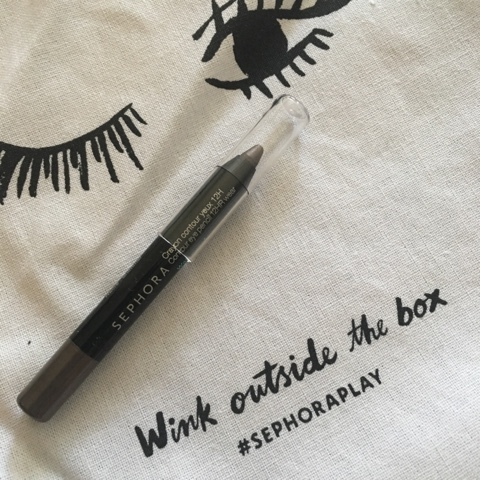 Ok, when it comes to eyeliner i am definitely a liquid girl as opposed to pencil, but pencil can definitely have its place in the routine as far as getting that nice blended color toward the lash line and serving as a bas for eyeshadow, and this eyeliner delivers. I've always used UD's 24/7 pencils (when i use pencil) and i might even go as far as saying this works just as well (for half the price!). it doesn't dry as quickly too, which is a good and bad thing, there's more time for it to smudge before setting, but that means there's also more time to purposefully smudge it. i smudge when i use these anyway, so this works for me. I don't think i would personally actively seek a pencil out, but it is nice to know that one more of Sephora's own brand works fab. This is one of the most interesting scents I've experienced. It's funny, cuz i haven't been interested in perfume samples ever, but since getting these boxes my tune has really changed. I think actual perfume brands (as opposed to designer fragrances) really nail scents down. I've actually been getting more and more excited for the perfume samples even, and it's been really fun to try all these new scents, and they have such interesting combinations. This one in particular was described as evoking a relaxing bubble bath, which it totally does! I get torn between loving it and feeling like it smells like soap my grandma uses, but the scent seems to change over time. Also I love on this packaging how it talks about other scents it pairs with as well as what's in it and a little more info, which is actually pretty helpful.